Enchanting books full of Disney characters to win the hearts of little girls. Each book includes two charming read-alone stories, plus stickers and a bookmark. 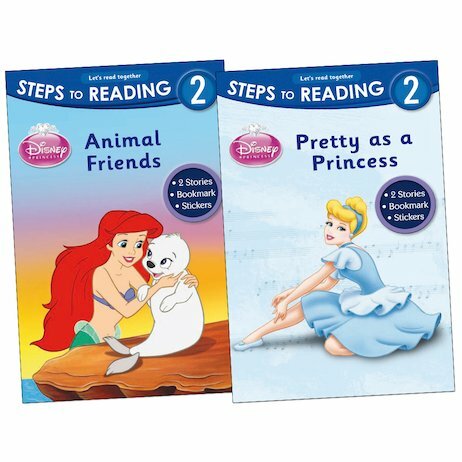 From Level 2 of the fantastic Steps to Reading series, these fairytale stories of princesses and their animal friends are the perfect way to tempt girls to read alone. They combine simple language with beautiful colour artwork of favourite Disney Princesses, plus magical storylines to hold readers spellbound.